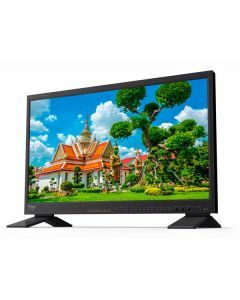 The LVM-328W is a 32-inch 1920x1080 resolution broadcast QC-grade monitor. The LVM-328W is a 32-inch 1920x1080 resolution broadcast production monitor. A new white LED backlight unit improves power consumption, colour purity, and contrast ratio. The LVM-328W has a new, thinner bezel width to improve edge-to-edge viewing and features 12-bit video processing and a multiple image-measurement tools.